Hola! Sorry this was really late. It's been extra hectic lately. Like super. Anyway, the Commenter of the Month for May is Issa Chavez! Hope you like your Pond's Gold Radiance set. 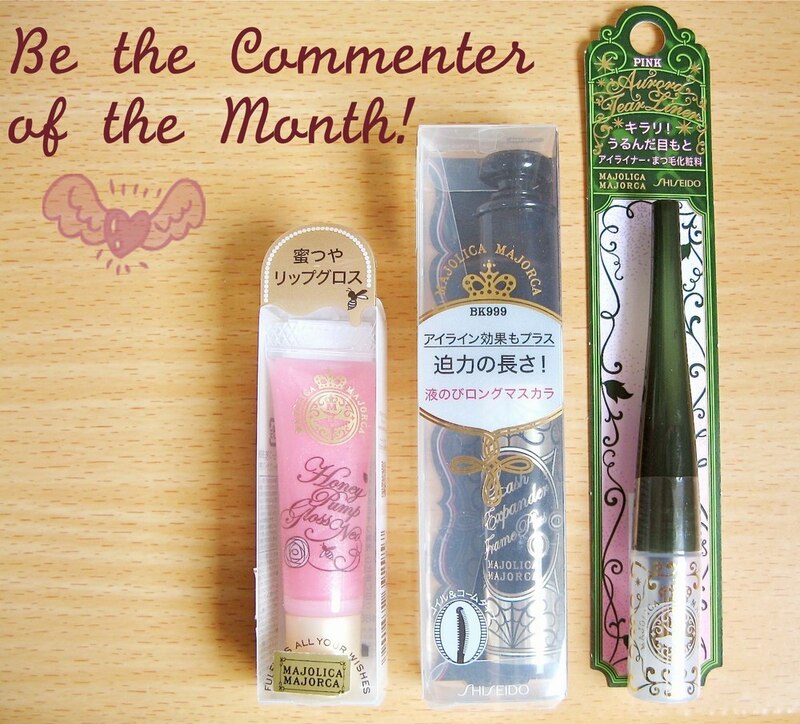 My favorite commenter will get this set of Majolica Majorca products (Honey Pump Gloss, Lash Expander Mascara, Aurora Tear Liner). :D Same mechanics as before! Every month, I'll pick a commenter on my blog. She must be able to leave useful comments, such as sharing feedback about a product I reviewed. It can be a "thank you" comment, or maybe a really good question (I love good questions). A big factor would be the frequency of the reader's comments. Does she always visit? Does she read through the site? At the end of the day though, I always value quality more than quantity. Comment away! Am hoping to hear from you. ;) I'll pick the winner at the end of June. PS Kindly note that if you already won CoM already, you can't win again. :) Just giving a chance to others!